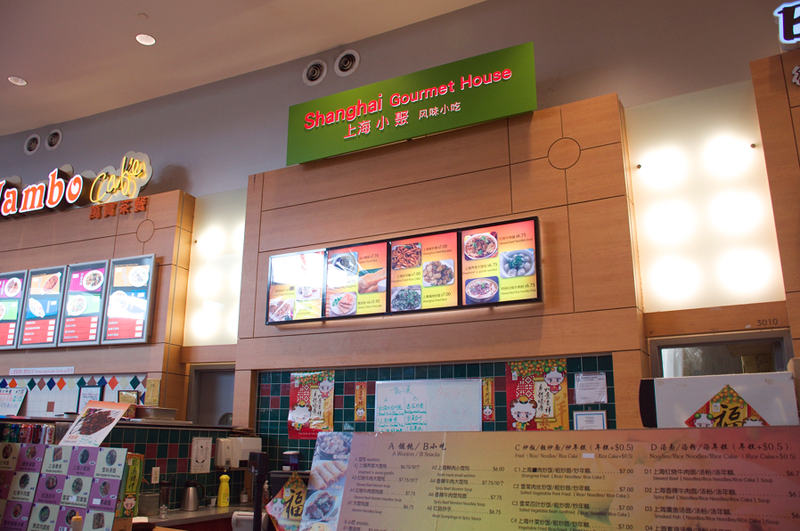 Vancity Noms: Shanghai Gourmet - Aberdeen!! When I was going to the washroom I noticed the spot that Vera's had previously occupied was replaced with a sign saying "Strike" Coming Soon. Wait...Strike, as in, the Taiwanese restaurant Strike? I guess we'll just have to wait and see! I wouldn't be surprised if they decided to open up a food stall though, but they would be competing directly against Yougo Chicken, the only other Taiwanese stall in Aberdeen!! These were probably one of the worst XLBs I've ever tried.....even the frozen ones at T&T are better lol. The skin was really doughy and thick, making it really hard to chew. 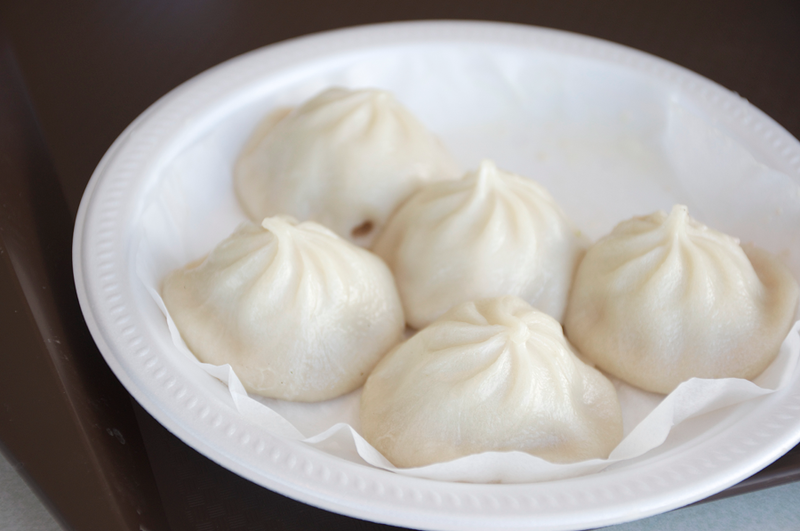 There was barely any soup in it and the XLB themselves were very bland tasting. It was pretty obvious that these were frozen ones straight from a packet. They have a lot of different flavours, so being the indecisive person that I am haha, I asked the girl working there which one she would recommend! She recommended that I go with their spicy pork version, so that's what I ordered! The rice cakes were pretty decent, chewy, *qq* and flavourful! It was mildly spicy (as requested) with a hint of sesame oil! The sauce drains to the bottom so I dipped the rice pieces in the sauce which gave it a lot more flavour! 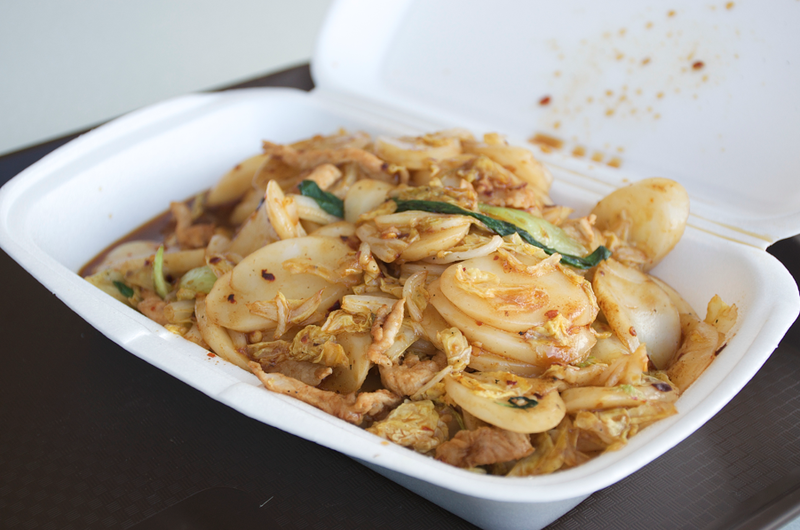 There was barely any pork in there though, but the amount of rice cakes made up for it! I cannot wait for strike to open at aberdeen!! but that sign has been up for a long time and I don't even see people working on the stall. Yougo chicken was good but I think it has gone way done recently in quality and quantity. Aw, I haven't had Yougo Chicken in over a half a year, too bad the quality's gone down hill! From what I remember their Taiwanese chicken steaks were pretty yummy! 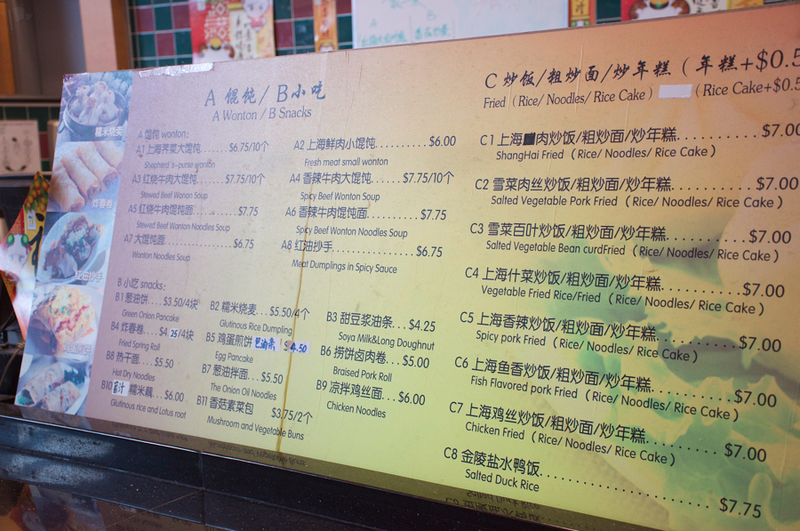 lol yep, there's never a lineup at this Shanghainese stall! Mambo Cafe and Bubble Waffle Cafe next door always has a huge lineup!